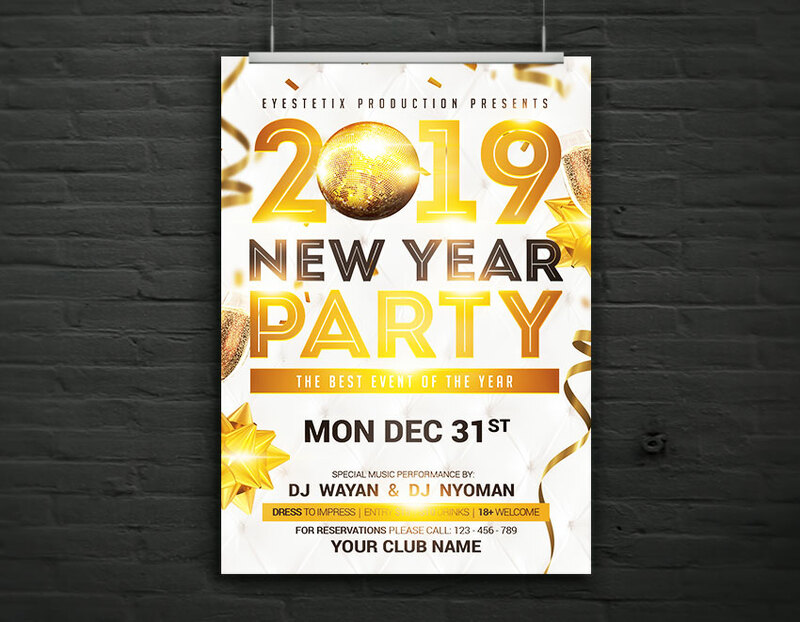 2019 New Year’s Eve Party flyer template for Photoshop. Gold and white colors. High definition template (300 DPI). Easy to customize and ready to print. Free fonts are used on this item, download links are included. Find all the features of this travel agency flyer below.